Home › QUT News › Features › Where are all the women in STEMM? History has no shortage of accomplished scientists. When we think of extraordinary breakthroughs, names like Albert Einstein, Thomas Edison, Stephen Hawking, and Galileo Galilei come to mind quite easily. But for most of us, it is harder to name groundbreaking women of science. Women such as Marie Curie, who conducted pioneering research on radioactivity, which led to 20th and 21st century use of radium, Caroline Herschel, who was the first female to discover a comet, and helped to increase the number of known star clusters from 100 to 2500, or Barbara McClintock, who discovered that genes could move within chromosomes, a theory later confirmed and found in humans. It could be argued for some, these women are in fact well-known household names. However, there is an endless number of groundbreaking women just like them who are making exceptional contributions to science and receiving little to no recognition for their work outside the scope of their fields. A lack of acknowledgement for female scientists is far from a contemporary issue. Between 1901 and 2017, 19 women were awarded a Nobel Prize in science (physics, chemistry, physiology/medicine, or economic sciences), compared to 659 men. That’s less than 3 per cent. STEMM is commonly used worldwide to describe the group of academic disciplines. An even bigger challenge for STEMM fields today beyond simply increasing recognition of women is keeping them in the industry beyond the early stages of their careers. In 2011, 33 per cent of all tertiary qualifications in Australia were awarded to women in STEMM disciplines. Despite the increasingly large cohort of graduates, in 2018, women accounted for just over a quarter of the industry. 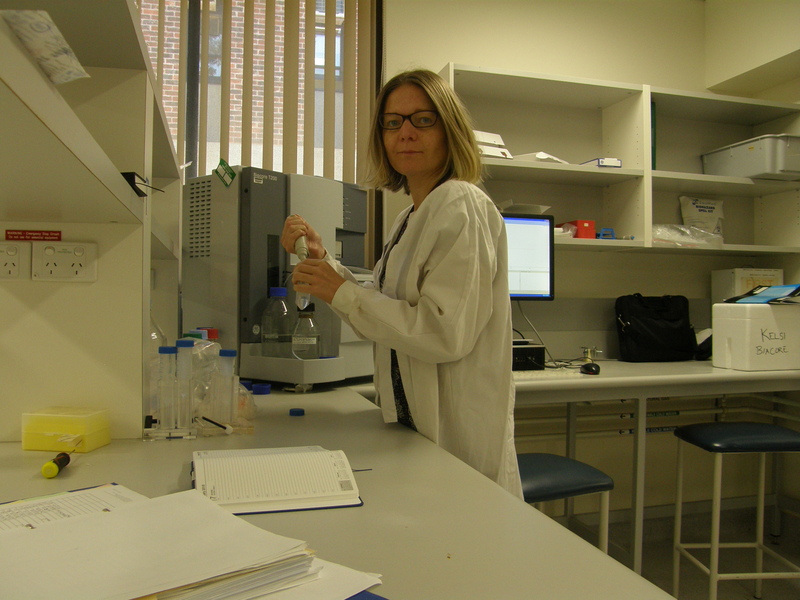 Dr Evelyne Deplazes is a medical researcher at the University of Technology Sydney who says women are visibly underrepresented, and there are countless challenges women in STEMM fields face throughout their entire careers. “When I think about women in this industry, I look at things through a very different scope because I’m not a mother. Quite often when we talk about challenges often times the responsibility of caring for a child comes up. But I think that’s only part of the story,” she says. Evelyne believes the issue boils down to the narrow definition of leadership throughout STEMM industries. “People think of leaders and they’re very typical alpha male types. You have to come across as incredibly confident, you have to be prepared to go after something you want no matter what. I’m not trying to say all men are like that, but I find that kind of behaviour helps and especially that behaviour is rewarded,” she says. Evelyne says in her experience in academia, women are more likely to prioritise tasks that extend beyond the bare minimum of their job requirements. “One thing I think is very obvious is women tend to spend more time looking after their students and they take it very seriously. And that includes not just looking after them in the lab in terms of technical skills and scientific skills, but also pastoral care,” she says. Cecile Godde a researcher at CSIRO, agrees the lack of women in leadership and other senior positions is a clear problem. She says many women aren’t given the chance to develop skills required for leadership, making it even more difficult to break into those roles. “In Australia, in my field of agriculture and the environment, generally speaking, there is an equal distribution between men and women at entry levels. But when you get to the professor level, about 90% of those positions are held by men,” she says. Cecile was a participant of Homeward Bound, a yearlong program aiming to elevate the influence and impact of women in STEMM. 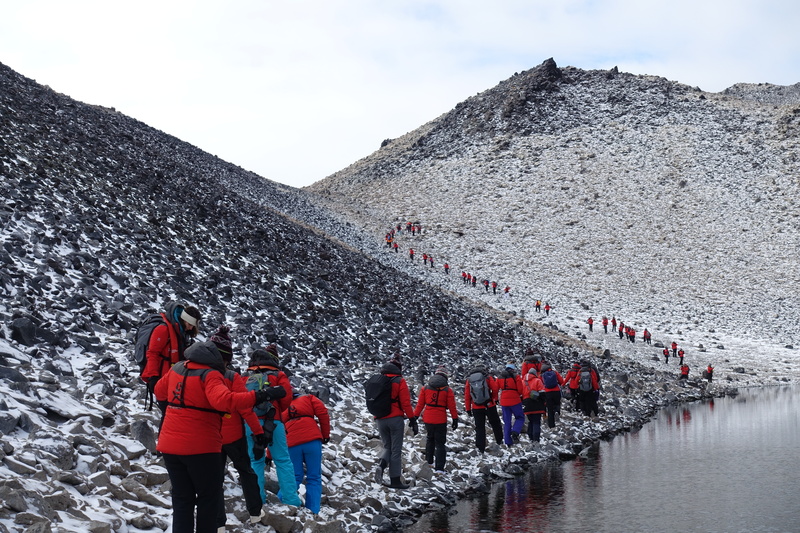 The program includes 11 months of online leadership development, science collaboration, and communication, culminating in a voyage to Antarctica where these skills are further developed. Each voyage has had between 80 and 100 participants. Cecile says having Homeward Bound on her resume has led to opportunities she doesn’t think would otherwise be possible. “I applied for this program because I want to make a change in the world. I saw this program as an opportunity to acquire knowledge and the tools to have a stronger impact,” she says. Cecile believes more women in leadership will lead to more opportunities for mentorship and role models, creating a positive and more supportive environment for younger females in STEMM. Dr Beth Strain, a marine biologist at the University of Melbourne, was on the most recent Homeward Bound expedition which concluded earlier this year. Beth says the training she received through the program is something not usually offered. 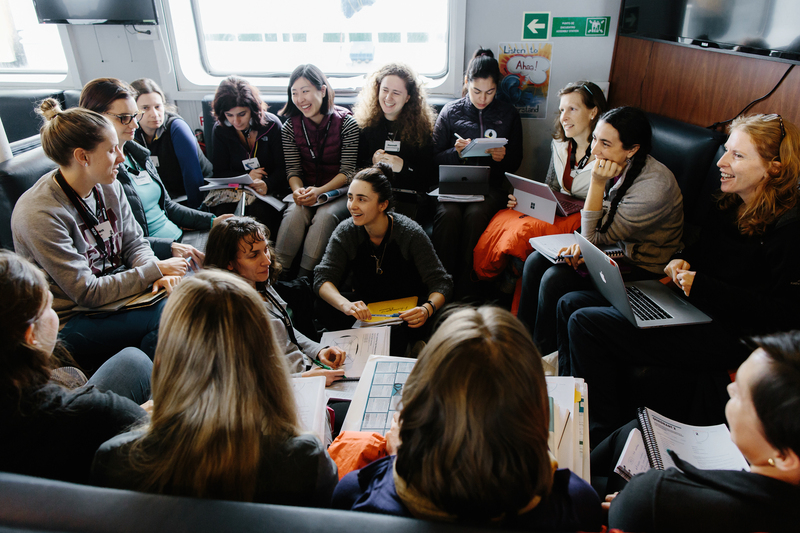 “I’m an academic, and the main driver for me participating in this program was that as an academic, you don’t generally receive any formal leadership training, despite the fact you are regularly supervising students, leading classes, and I was working with large groups of international collaborators,” she says. Since her return, Beth is utilizing skills she learnt to increase her visibility in her workplace and be more confident and active in seeking out opportunities. She says one of the most beneficial parts of the program has been the community of fellow women she has been able to connect and collaborate with. Beth explains there is a lot of pressure being one of only a few in a minority group in the workplace and says there is a lot of unintentional bias that still exists. Programs like Homeward Bound are working towards creating a shift in the mindset of the STEMM community, but there is a consensus that while progress is happening, it is painstakingly slow. “There’s been an improvement over the last few years and some workplaces are ahead of others, but it is going much slower than it should,” Beth says. Evelyne says one of the biggest steps toward achieving a gender balance in STEMM will be normalising the presence of women in senior positions. “When I was in my 20s and people said we needed to meet quotas, I disagreed and thought the person who is right for the job should get the job,” she says.